Now you can live every day of your life with ease and confidence! LISTEN HERE to a sample of the April 2019 Forecast! What is coming up in the Month ahead? What gifts are offered in each Daily Code? ... Before each month Begins? What if you had the cosmic tools to activate wealth, initiate opportunities, and manifest your destiny while feeling fulfilled, happy and empowered from within? What if you had access to a cosmic map of the future - a day-by-day ENERGY FORECAST to help you navigate your life with grace? What if you could make your decisions with much greater ease and confidence? Now you have the practical and spiritual forecast tools to implement your divine mission! Imagine the celestial secrets you will have at your fingertips each month, Day-By-Day! Now you can... Every month... In ADVANCE! Every month you’ll receive a jam-packed, incredibly detailed and inspiring five-segment audio package to guide you through the month. You'll get daily tips on how to make the most of the unique Astro-Numerology code, so you're on top of all the opportunities and gifts every day brings - with a special emphasis on Abundance Activation Days and Periods. What's in the April 2019 Premium Wealth Forecast ? Discover how to turn April's liberating and breakthrough-creating Universal Month Number 16/7 - vibration of shifts, inspiration, intuitive downloads and acting on your hunches for great success - into a series of turning points! How the wonderful New Moon in Aries signals a fresh start and why the forward momentum (after Mercury Retrograde) helps you instinctively choose people and plans that are for your highest good. Know which critical dates to NOT plan important events – secret information that will keep your life in balance when others are stressed out and frustrated. The blessings bestowed on three special days in April which activate the ultimate abundance code of wealth and financial flow – discover when this prosperity code manifests and how you can leverage it! Get all the important details on the second FULL MOON in LIBRA – and why the planetary alignments and numbers’ code during this rare second Libra full moon is especially stimulating, impacting all areas of your life. Know in advance which Fridays & Saturdays activate love and romance in the star code map, and those special weekdays which ignite, passion, intimacy and love. 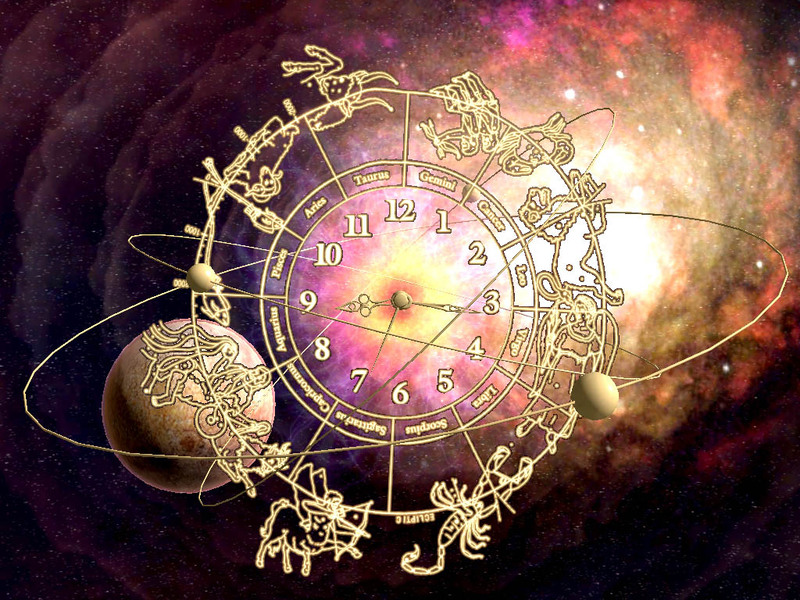 Get advanced guidance on important astrology transits – when do they take place, what do they mean to your personal and professional life, and which tools can you use to make the most of these celestial codes! Which days are best to move ahead with your plans and projects vs. days favoring resting and taking a breather. Positive star code activations are amplified many times a month – discover when you’ll experience positive growth, fortunate forward momentum and effortless prosperity opportunities! Weekends are a wonderful time to take it easy, but sometimes the celestial codes favor action and prosperity manifestation… Know precisely when you’ll encounter important abundance activation days vs. rest & relaxation weekends! Take advantage of extra fortunate days by learning exactly WHEN opportunities are more magnified in the stars and numbers, so you can leverage them! 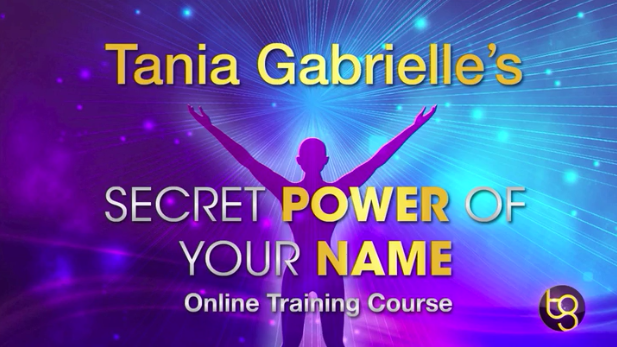 I have created a brand new, step-by-step online training course that will allow you to instantly access the “Secret Power of Your Name”. This course includes a “done-for-you” name calculator that only you and other members can use! You'll have access to groundbreaking tools so that you don't have to calculate any letters, individual names or birthday codes, and make FULL and QUICK use of this powerful program! There is a specific set of rules you MUST follow. To make sure that you are secure and confident every step on the way, I have created an easy to follow, step-by-step program that will teach you how to read and fix any name. I've done all the research and received the cosmic messages in advance, so you can just sit back, listen, and leverage every day's universal Star Code Activations! What comes with the “Secret Power of Your Name” Program? Receive instant access to Module One as soon as you register for the course. I will deliver one new webinar a week for six total videos. The complete training tools, materials and webinars are contained in a private, members-only, password protected membership site. This means you have access to the complete program online - OR you can download it to your iPad, your iPhone, your iPod and just learn on the go. AND, as a loyal subscriber to my newsletter you qualify for a Special Introductory Price ! You’ll be able to access April 2019 (and March) forecast INSTANTLY after checkout. PLUS, you'll also receive the following bonuses ! Tania will send you a special audio mp3 describing the unique talents and gifts of YOUR Day of Birth! You can listen to your Day of Birth audio anytime you want a reminder of how amazing you are - and hear your soul speak! Let this recording light each experience of your day-to-day life. * This bonus will be delivered instantly. You'll receive a PDF transcript with the full content of Tania's Premium Wealth Forecast ! This transcript is fabulous to to access for easy reference so you can have an overview of the whole month as you plan your important projects, appointments and events. You can also search for specific content or days, and use it as a quick review. Also, some people prefer to print it out in advance and listen along Tania's forecast. However you choose to use this PDF document, it's an awesome bonus! You can ALSO download this month's Premium Monthly Forecast onto your device so you can listen to it offline, or even copy it into your iPhone, iPad, MP3 player, tablet, or mobile device! Of course, you can always log-in to our private member's area and listen to it anytime you want. Tania chooses 2-3 music selections every month that are aligned with the astro-numerology code to help you activate as many opportunities as possible! Music is a magical tool to awaken the fields of light in your heart-center. Every month’s beautiful music selections will unlock the divine message in the star code within you. Listen whenever you need a boost, a moment of meditation, or a surge of inspiration to help you fulfill your divine mission with enthusiasm and passion! BONUS # 5: Complimentary Access to Previous month's Premium Wealth Forecast! When you register today, you'll get INSTANT access to your new April 2019 Forecast. This way, you can review LAST month's forecast in case you want to "make sense" of something that happened to you on a particular day, more info on a specific astrological event or if you just want to know how the numbers and stars aligned that month. "Thanks for the new Premium Forecast! The timing is perfect. Imagine that - I am experiencing perfect timing in my interaction with your offerings! I don't know when you started this but I found it at the exact right moment! Thanks for all you do! It's a great inspiration and gives me great tools to manage my implementation!" "I enjoy the forecasts and I am learning SO MUCH! I particularly like that the forecasts are positive and upbeat albeit realistic and practical. Thanks again and blessings!" "Listened to the Premium Wealth Forecast again last night. In it you mentioned that the time between the eclipses would be a very creative time. It was confirmation of what I see in my life daily and a reminder to stay focused and pay attention to what I wake up with every day! Thank you!" "Thank you for your direction, guidance and inspiration. You give me clarity and hope!! I am blessed to receive your wisdom and blessings." Thank you for your wonderful horoscopes and the passionate way of delivering them. I listen to your forecast every day. Although the choices I made/make in my life, conscious or subconscious are mine, your horoscope is like the forecast delivering the news of what’s expected to come. And with that I feel guided of what to do or not to do. It’s like the weather channel…you may expect a sunny day or a storm and you know how to get prepared when you get out … and whatever your preparation might be it’s entirely up to you. I absolutely love your messages and the way you deliver them! Why Are You Getting a Discount, ? Because you are a loyal subscriber of my newsletter “Astro-Numerology Insights”, you are seeing this Subscribers Only Offer, which gives you access for the discounted price of only 77. On October 11 the price WILL go up to 99.00, when I release the “Secret Power of Your Name” program to the General Public, so make sure to register now. I want you to know, I stand firmly behind everything I offer. If for ANY reason you don’t feel like the information revealed in the Premium Wealth Forecast is not worth the low price you paid, just send me an email in the following 7 days telling me – and I’ll cancel your subscription and refund your money right away ! That means, you have SEVEN full days to listen to the Premium Wealth Forecast, take notes, plan your month ahead, organize your life according to this month’s Astrology and Numerology codes… and THEN decide if you want to keep your subscription and benefit from this empowering forecast each and every month. You can ALSO cancel your subscription ANYTIME without penalty or hard feelings. Just send me an email to support @taniagabrielle.com and we’ll take care of you. It’s totally risk-free. You have nothing to loose! In fact, the risk is on me! already saying about this program ! Fabulous webinars! So easy to understand and follow, very glad I signed up for this course! This course was awesome. Very easy to understand. Well done. Thank you! Love the Webinar--just what I've been wanting--thank you. My experience with both modules has been very positive and the calculator works beautifully. It's very fast and a helpful confirmation to doing the figures myself. The examples you use for illustration are great and so is the pace of your delivery. You sound very natural and relaxed---easy to follow and enough time to take notes. While I was awaiting the answer to my questions, I went over the slides and actually found the answers, so I can testify that the slides are also helpful. This course is just what I've been wanting--and I appreciate that the price is reasonable. I have considered setting up a small website, perhaps now I will feel comfortable doing that. Enjoyed these module videos. Cleared up so many questions. It's going to be extremely hard waiting for the next module to be released. Thank you! I have been following you for a number of years and always look forward to the information that you put out. Your program is fabulous, and although I have studied numerology (Pythagorean) this has been eye opening and insightful. The tools are magical and make everything so much easier and fool proof. I've enjoyed these modules very much. Very thorough and thoughtful presentation for members without any numerology knowledge. Anticipating eagerly for following modules. I have watched module one so far and really enjoyed it….Looking forward to learning the rest! I used the modules straight away. I was completely amazed. They are easy to understand and the calculator is great. I enjoy your positive and friendly style during the slides and in your monthly videos, and admire your depth of knowledge, thank you for sharing it. I love the course, a full complete ensemble of knowledge building. Reading the slides does not have the impact as the speaking voice, inflection, and articulation as Tania Gabrielle, that’s for sure! I'm so excited that you've created this program. I have a page full of family names, book names, and program names that I’ve been putting through the calculator and playing around with since many came up as numbers on the challenging list. The main reason I took the course was to look at things like company names, book titles, program names, websites, etc. I can’t tell you how much I’ve enjoyed this program. Thank you! If for ANY reason you don’t feel like the information I’ll reveal in the Secret Power of Your Name program is not worth the low price you paid, just send me an email in the following 15 days telling me – and I’ll refund your money right away ! That means, you have fifteen full days to view the online training, take notes, use my exclusive tools, calculate and analyze some names… and THEN decide if you want to keep access and receive the rest of the Modules. Imagine having this Premium Wealth Forecast at your Fingertips in ADVANCE... month after month! OR you can TAKE CHARGE of your MISSION and invest in the empowering, detailed cosmic roadmap of the future - monthly guidance to help you generate wealth, joy and fulfillment in your life each and every day. The Premium Wealth Forecast is specifically designed to help you set the bar higher on all levels, by revealing both the practical and spiritual tools to manifest miracles! P.S. Every month you'll get a private preview of an amazing array of star code revelations to help you step into fulfillment and success easily and with the greatest confidence. During these EPIC times of change stay in tune with the constantly changing cosmic messages from the stars!